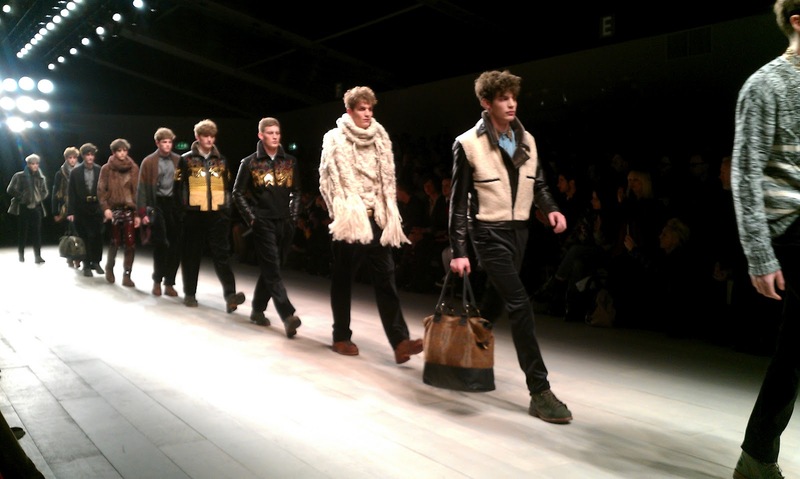 After graduating from the Royal College of Art in 2007, James Long debuted his collection at MAN, a Topman sponsored platform, that same year. His own label has since gone from strength to strength and Long has become the first menswear designer to receive an award from Fashion Forward (a growing scheme funding selected new design talent in London). He also has lucrative consultancy work with Versace. What’s most exciting, however, is how well James Long combines his creativity with a knowledge of what his customer wants (and needs). Inspired by surrealist film maker David Lynch and the scars excavated quarries leave on the face of the earth, Long demonstrated focus on detail through intricate and unusual embroidery for his AW12 offering. Collars were adorned with gold work by British embroidery company Hawthorne & Heaney and the final product proved just why James Long is credited for being innovative without forgetting the necessity for wearability. Garments weren't overly conceptual, and even if you can't quite see yourself in an embroidered shirt, the cut was undeniably sleek. 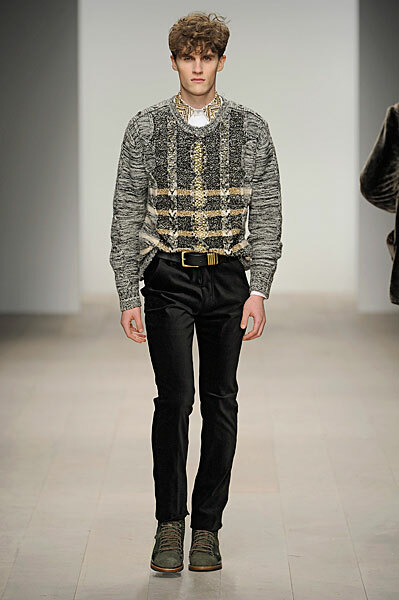 Sartorial elements were taken and translated into a language that spoke clearly to a younger audience. 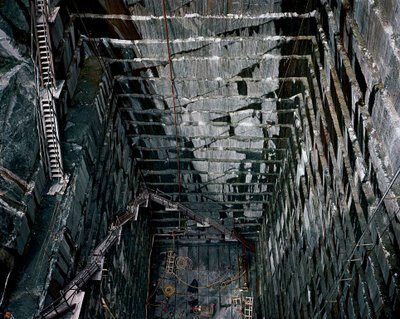 Edward Burtynsky's photography on quarries. 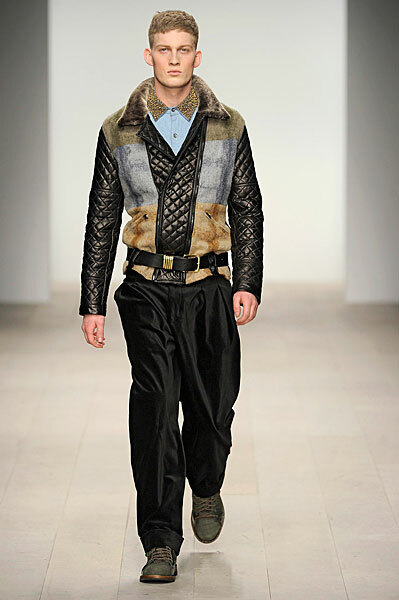 Outerwear came in the form of aviator jackets, some with quilted leather, others with shearling trims. 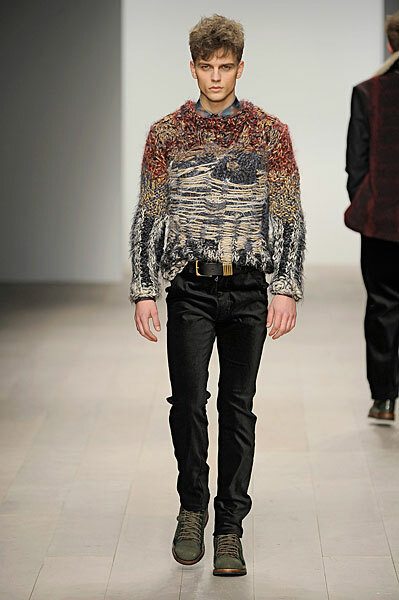 But what really took my breath away this season was James Long’s knitwear. He has always been honest about his passion for creating great knits for men. The mix of gold thread with wool brought the excavated quarry inspiration into sharp focus. Every man should have a James Long jumper. The use of gold thread was minimal enough to speak to the man who appreciates detail, without alienating those for whom a full on gold jumper is a fashion leap too far. James Long may very well have his ideal man firmly in his head, but elements of his collections are opening up to not just one man, but many men. Personally, I would like one of everything please!